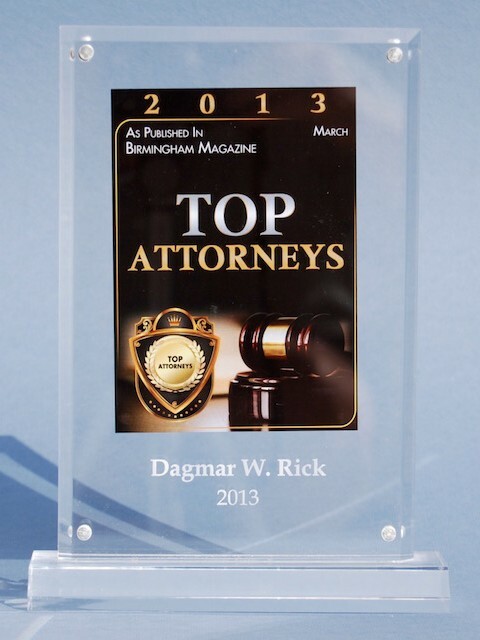 The Birmingham Magazine has honored me as the winner of a popularity contest among Birmingham lawyers as the top immigration attorney in Birmingham. 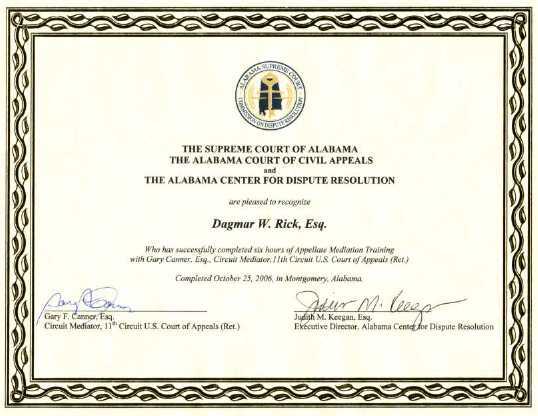 Of course, it is a wonderful thing that others have honored me with their trust, in particular as they have done this now six times, including in 2018 and 2019 after I had moved my residency to Atlanta, GA. All I can aspire to is to be the best immigration attorney for my clients, but to have the trust and respect of my peers just makes me especially proud. If you are one of my clients, you probably know that I was born in Germany and, displaying perhaps some of my German stubbornness, like to handle everything myself. Whether this is the secret to my success or just a quirk of my personality, I'll leave it up to you. I have appeared on television several times, mostly in cases when the subject of immigration was in the news. One time I was interviewed on a more general subject, an interview that made its way on to Youtube. Click on The Attorneys to watch the show. 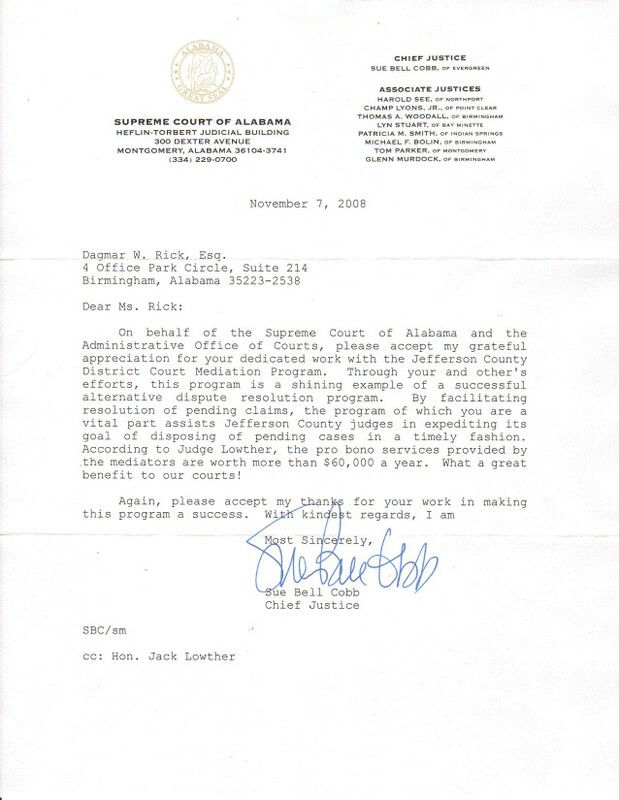 Throughout my career, I have been involved in voluntary activities that resulted in letters of support from judges and certificates of achievement. 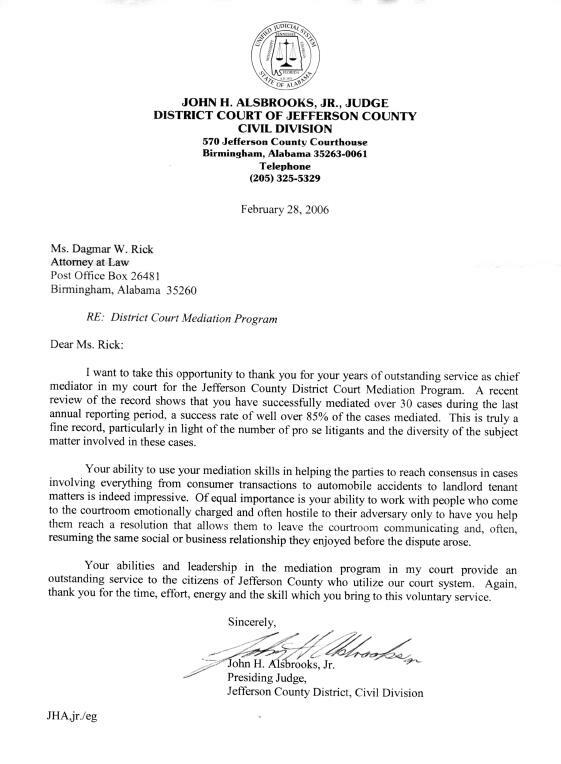 As an example, I would like to list here some documents that I received for participating in the Jefferson County District Court Mediation Program. 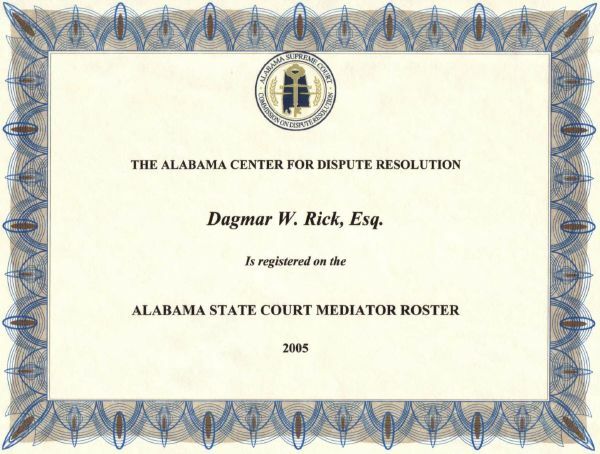 Mediation is an alternative to lengthy and costly resolutions of disputes by Civil Courts.